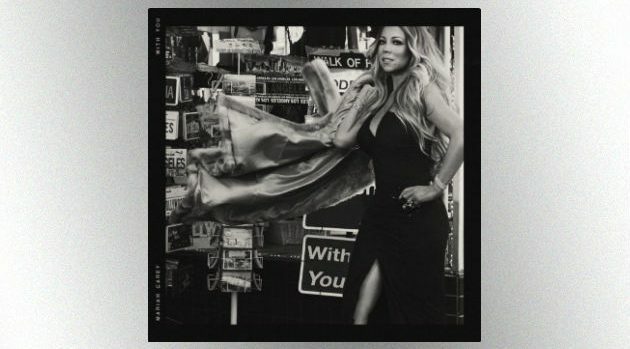 Epic RecordsFollowing the release of the teaser track “GTFO,” Mariah Carey has now dropped a new song, “With You,” which is the first official single from her upcoming album. The piano-based ballad features Mariah crooning about a couple whose love endures against all odds. “It was war, can’t predict the comin’ storm/Promise that you’ll keep me warm/I don’t wanna play this wrong/He said ‘yo, I’ve been lovin’ you so long,'” she sings. Oddly, just like with “GTFO,” Mariah manages to drop the “F” word into this song, too. She’ll have to leave it out when she debuts the song live at the American Music Awards, airing live this Tuesday on ABC.